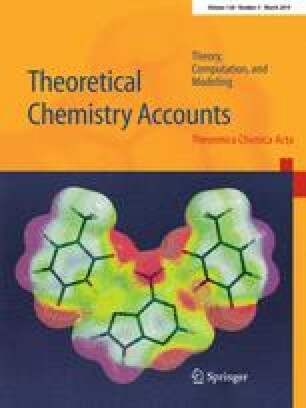 Using BMC-CCSD//B3LYP/6-311G(d,p) levels of theory, the mechanisms and kinetics of the OH + (CH3)2NNH2 reaction in atmosphere were investigated theoretically. The result indicates that both H-abstraction and substitution mechanisms are located, and the former one is dominant. Moreover, the product of (CH3)2NNH + H2O is more favorable than CH3N(CH2)NH2 + H2O in the H-abstraction mechanism. The calculated total rate constant shows negative temperature dependence below 500 K. It is in accordance with experimental study that slightly negative temperature dependence was found between 254 and 633 K. Moreover, the calculated rate constant shows significance variational effect from 200 to 3000 K, and methyl substitution effect plays an important role in the OH + (CH3)nNH2−nNH2 (n = 0,1 and 2) reactions. This work has been supported by the National Natural Science Foundation of China (No. 41775119), and Focus on Research and Development Plan in Shandong Province (2018GSF117017). We would like to thank Professor Donald G. Thuhlar for providing the POLYRATE 2010-A program.